It's hard to believe we are already in mid-October. During the next several months, it seems that continually there is some celebration, holiday, or special event that will potentially involve sweet treats, drinks, and celebratory foods. Lots of food. Lots of sugar. Lots of drinks. There's Halloween, Thanksgiving, Christmas, Super Bowl, Valentine's Day, my birthday, and...well, there is always a reason to celebrate. We even celebrate Piper's birthday. She's my fur baby. Okay, dog. I like to eat. I think most of us do. Personally, I think it would be great if we could eat whatever we wanted without any consequences at all. I could eat all the chocolate chip cookie dough ice cream that I want and not have to worry about having an upset stomach from the dairy or gluten and my pants no longer fitting! Sigh…it’s just not that way though. So here we are, faced with all of these gatherings that are coming up. How do we get through the next several months without feeling like we just ate enough to feed an entire army or feeling like we need to go shopping because we find that our clothes no longer fit comfortably? Here are some tips that have helped me and perhaps you will find them helpful too. Think positive. I recently listened to the Psychology of Achievement by Brian Tracy on Audible. This is a great listen by the way! One of the lessons he taught about being successful in any area of life was to think positive. Actually, he called it using the 3 Ps: Positive, Personal, and Present. For instance, instead of waking up and thinking “I hope I can get through the day without eating all the candy in the office” you would begin your day by affirming yourself with “I am a healthy eater and I choose to eat healthy food.” When we tell ourselves that there is even the slightest chance that we might not do something or can't do it, we are setting ourselves up for failure. Set yourself up for success and you will succeed. Plan ahead. This is a big one. Be aware that all of that Halloween candy left hanging around the house might be very tempting. Especially if it's Laffy Taffy. Start preparing your plan to avoid this issue. Here's a suggestion: You can donate it! Take it to your local dentist! Just kidding. Ours magically disappeared because I just threw it away. I might have taken it to my dentist, just for laughs, but he retired. Think about what to expect for Thanksgiving or Christmas. There seems to always be an abundance of sweet treats at gatherings. Are they hard to pass over? 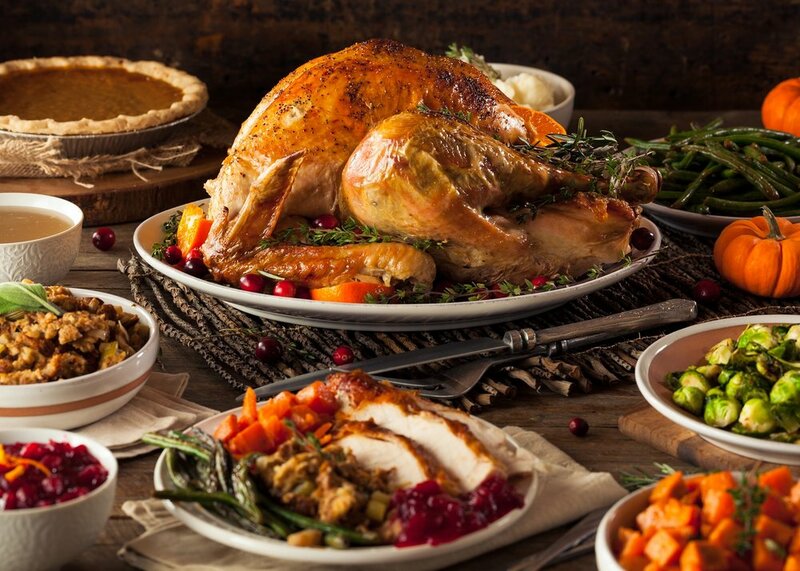 Do you typically heap your plate full with mashed potatoes, gravy, and stuffing? Make a plan and again, think positive, you've got this. Be proactive by bringing a healthy alternative side-dish that you truly enjoy. I love roasted Brussels sprouts and they are a hit wherever I take them, even at the office potluck. Taking a salad with everything you can imagine in it is also a great alternative. Take your own treat! One of my favorites is Almond Butter Cups from the 21-Day Sugar Detox Official Program Guide. Tell others. Let your friends and family know that you are on the road to better health. Speaking your goals out loud to others solidifies in your mind your decision and helps to hold you accountable. Most people will want to support you in your choice and will look for ways to do so. Now what about when the event arrives? You aren't feeling quite so confident because you know there will be things that you want to eat but are committed to saying no to eating them now. It's been hard in the past, I know. But this is now. Go back to #1 above and think positive. Eat prior to your event. When you eat prior, you are no longer hungry and have given yourself a superpower boost. You brought that side dish I mentioned in #2 so you have something to eat. Not starving, having that "escape dish" makes it so much easier to pass up those cream puffs. Keep a glass of water, club soda, or kombucha in your hand. Take a sip everytime your eyes stray to that cream puff and your mouth begins watering. This will help to keep that unconscious self from easing you over to the treat table and plunging face first into the cream puffs. And it helps with that watering mouth. Notice I didn't say keep a glass of wine or a martini in your hand? The more you sip of those, the more you will find yourself reaching for the cream puff. What about the event that you didn’t plan ahead for? The week was rushed, the day hectic, you didn’t get that dish made, and skipped lunch. Does this mean that you should partake of the Doritos, little sausages, cheesecake, and punch? NO!! Go back to #1 and remember what you told yourself this morning when you were thinking positive. It’s your new mantra. “I am a healthy eater and I choose to eat healthy food.” Repeat it again and again. Guess what? This is the time you just carry that club soda around and don’t eat if your only option is junk food. You will not fall over from skipping this food. You will not be destroyed or malnourished. Actually, if you eat that stuff frequently, you will be malnourished! Skipping a meal is perfectly okay. And you will feel better about yourself for not partaking of the not so healthy treats. These are things that I do when going to functions at any given time. They’ve helped me to move from “here’s food, I have to eat it” to being mindful and picky, in a good way, about what I’m eating and how I'm treating myself. If you are looking for some great dishes to take with you to an event, or even to cook for the family, check out the 21-Day Sugar Detox for recipes. You can buy the book on Amazon, if you do, check out page 181 to make the crumb-topped brussels sprouts! Yum! If you have other tips, ideas, suggestions, I’d love to hear them!